Greg Schermbeck may head up a consulting firm, but don't call him a consultant. 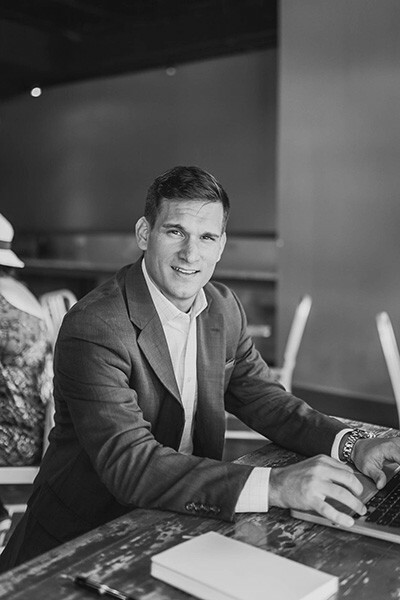 The founder of Charlotte-based SchermCo Consulting is well aware that of the estimated $488 billion of estimated revenue to be brought in by the consulting industry this year, a miniscule percentage will go toward actually implementing solutions. The rest, Schermbeck says, could be called "smoke and mirrors." Schermbeck, 31, said he had no intention of being the high-priced consultant who will "pitch templated PowerPoints, say, 'Good luck' and then leave," when he launched SchermCo in 2014. His firm's goal was to not only find solutions to educational issues — especially those facing low-income and under-resourced students — but to help implement them. One of SchermCo's local projects aimed at doing just that came to fruition this week after six months of work with Mayor Jennifer Roberts and the city of Charlotte. 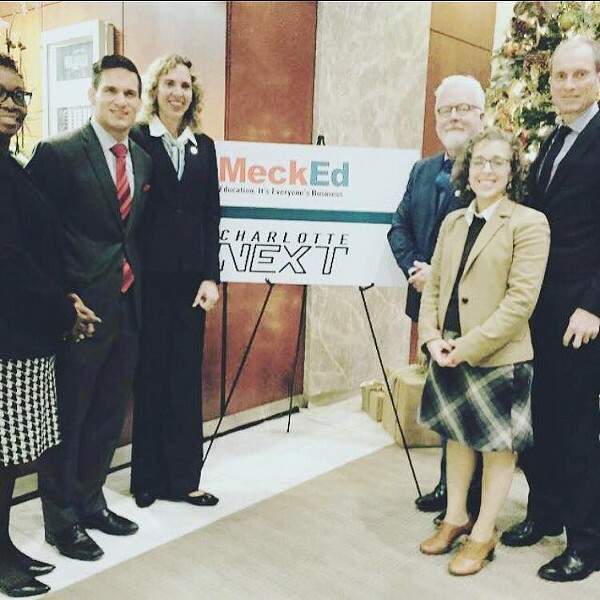 Earlier this month, local nonprofit MeckEd launched an interactive web tool to help connect kids in all parts of Charlotte to accessible afterschool programs as part of its Charlotte NEXT project that was shaped in part by SchermCo. 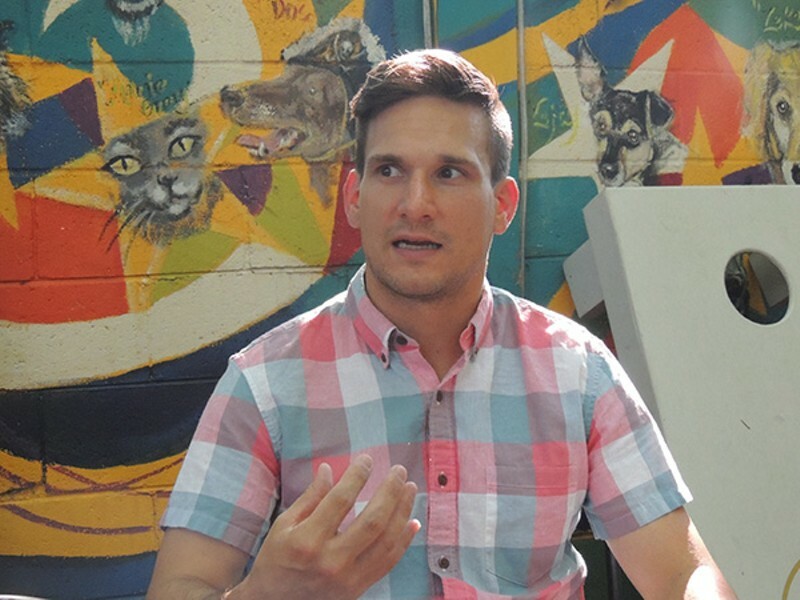 A few days before the launch, Creative Loafing sat down with Schermbeck to discuss the issues facing Charlotte schools and how he hopes to help. Creative Loafing: Have you always been interested in education and equal opportunity? Greg Schermbeck: I grew up in a fairly low-income area, but didn't know it was low-income as a child. I grew up in a trailer park until about fourth grade, which we always thought was normal growing up. I think some people tell you it's not normal the older you get, but I had great parents who both worked jobs, I came from a really good military family, and so service in that way — at least in the military — was always really important to my family and is still important to me. Growing up in Toledo, Ohio, which was still very much a Rust Belt city with a lot of manufacturing jobs, you were exposed to a lot of different things, different people, different cultures, different ways of living, and I think that was really influential for me growing up. As you get older you realize not all cities are like that — not all neighborhoods are like that — which then you can kind of extract into why certain things are the way they are. I think because of my upbringing, and I was the first person in my family to go to college, because my parents and my grandparents sacrificed so much for that, and so I never thought I'd actually be in education, but I think even from a young age I really valued at least the importance of when they told me how important education was. Out of college, you joined Teach for America (TFA), which brought you to West Charlotte High School as a teacher. You've said Charlotte was your first preference when applying to TFA. Why is that? Charlotte's a really interesting case study in that, in the '70s and '80s, Charlotte was actually one of the premiere cities for school integration. There were a number of really strong leaders, regardless of race and culture, in the 1970s who came together in Charlotte to really push for integrated schools for all the reasons we now know are true; that all kids, when you go to school with kids who look differently from you, there's a number of benefits — not even just test scores, but social skills and life trajectory. So Charlotte you could argue was on this pinnacle, and we've seen over the past 30 years — Charlotte specifically, but also other cities — have kind of regressed in a way that's become more segregated. So I think about this a lot. One, it's wrong, in any city. Two, it's not how the world works generally on a day-to-day basis, of only interacting with people who look like you or make the same amount of money as you. And the third thing, too, going back to where I came from, I would have hated going to school with people that looked like me and talked like me. I got exposed to so many cool people and cool cultures and cool things that were because people were different than me. How do you hope SchermCo can help in some of the issues Charlotte's schools face today? Public education is tough. There's so many layers and so many facets to it — in Charlotte but also across the country — and I think everybody has ideas but what it comes down is the execution of those ideas. What I'm hoping we can bring folks together around is scaling what works and talking about what works and naming what doesn't and doing away with things that don't work in public education. I think in any other market — business, banking, etc. — an organization that's doing something that isn't working for 10 years, it would stop. It wouldn't get to 10 years. And the business would innovate or try something new. I think CMS [Charlotte-Mecklenburg Schools] has done a good job of that, and charters have done a good job of that, but I think it takes a continual amount of execution to do that. I think of adults working together — whether it's school integration, charters working with districts, districts working with charters. I think we put a lot of emphasis on labels in education, but not emphasis on what works for kids, and I honestly want all of us to really consider what is really good for kids and why is it good for kids and then figure out how to make sure every kid has access to that. All those things I'm saying, it always comes down to the execution. So generally everybody agrees from the most southern part of Charlotte to the northern part of Charlotte that schools should be integrated, it's just the how. And it's hard. Adults struggle with change. Organizations struggle with change. I think the school district is doing a very noble thing in trying to do this, but now it's just the execution of doing it. And any change is going to cause ruffles. If you look at the '70s and '80s there were a lot of issues too, but I think the sacrifice was worth the results. I think it's about maintaining what's good for kids and fighting until we get what's good for kids. What have your thoughts been as you watch the debate going on around integration and a new assignment plan in Charlotte? I think we're getting closer. I think, like anything, it was a compromise in a good way. I'm very proud honestly that the school district took a step in this direction, because yes, they have it in their mandate every seven years to review the policy, but they don't have a mandate to do something about it. And not just to throw out false praise, I think they need a lot of credit for actually trying to do this. I think the plan has some really strong merits and some things that I personally would have liked to see them get more aggressive in integrating but I honestly think it's a step in the right direction and if we can continue to push in that way then progress can be made. I still think, as well, that schools will need to continue to be integrated, but then we get to more nuanced questions of what does perfect integration look like? But also, once schools are perfectly integrated, I don't think that magically means all kids will learn now. We still have a lot of things in education outside of that that are really important. What are some of those outlying issues that don't get discussed as much? I don't think kids or families are ever the issue. I think the systems in which we work are. I've never met a student, I've never met a parent who didn't want to learn or who didn't want their children to do well. There's some obvious things and some less obvious around what this utopian society of education looks like. I think one is that teacher pay is really bad. It's really hard — male or female — to have a family and provide for a family if you make $31,000 a year your first year and you teach 20 years and by year 20 you make $49,000 a year. And so I think that is one very nuanced thing. I'm under no disillusion that money will solve all the issues. But I do think we need to step back as a society — as well as look at other countries — and ask ourselves how we value this profession. The second part to that is working conditions. CMS right now is asking for a lot of money to improve facilities, which I think is right. You're asking teachers to work eight to 10 hours a day to essentially have 30 kids show up every 90 minutes to your door and then leave and another 30 kids come and to serve them at a really high level, but you're putting them in buildings that aren't working. They don't have access to a bathroom in between breaks or a clean break room. I think working conditions really need to be improved. So I think all these things are just generally around the condition that teachers and principals work in, and that really isn't a Charlotte thing, we could argue it's on the state level. North Carolina is one of the lowest states in the country for per-people funding, which essentially means schools have less money to work with. And again, I don't think money will solve it, but I think we need to get to a reasonable amount to help support schools. How did the Charlotte NEXT project come about and what was SchermCo's role? Mayor Roberts noticed a recurring issue where people who run afterschool programs were struggling to find students to serve. As she was running for mayor, she was also hearing feedback from parents and families that they couldn't find afterschool programs to attend, so there was a big disconnect. I had experience working in some afterschool spaces before, where we were hearing that there just weren't enough programs for kids to take part in. So we kept hearing all this diversion of feedback around afterschool programs, so she tapped our firm to help learn what was going on and see what the solution was. Schermbeck celebrates the launch of Charlotte NEXT. Essentially what we came with is building an out-of-school time intermediary, which is a fancy word for an organization that helps support and drive more afterschool programs. So that work is now an initiative called Charlotte NEXT, and Meck Ed, a nonprofit in town, is running that work. So essentially the premise of Charlotte NEXT is to ensure that every middle school student in a Title I school in Charlotte has access to afterschool programs. What SchermCo will do is begin to collect data about where programs are occurring and then understand where the gaps are and understand where we need to help navigate Program A to School A, to make sure students have access to afterschool programs. How will the launch of the new web tool help with that? Anybody in Charlotte can type in their address to search for afterschool programs to enter, and then all the afterschool programs within the radius of their neighborhood will show up. So we're hoping that tool will begin to drive the conversation on how we increase access to afterschool programs for parents and families. And that data at the city level will help us get a sense of, "Ok, where are programs existing or where aren't they existing, and now how do we drive resources?" You've spoken about your desire to build bridges between charter schools and district schools. Is that something you aim to do in Charlotte? Yup, every day. I think running quality schools is the hardest thing anybody can do, and I believe in open sourcing; my work and other people's work. If we as a country honestly believe that every student in our country should have access to a quality education, we should open source every secret, every system, every part of running a quality school that we have. And there are incredible schools in CMS and there are incredible charter schools. And, frankly, adults are arguing a lot about which one is right and if any city is going to have this utopian city of education for students, charters have to work together, districts need to work together, private schools need to work together, nonprofits need to work together, and the fact that they're kind of throwing stones and not reaching across the aisle to shake hands, it only hurts kids. So 100 percent, we have a passion. I think we're well resourced to serve as a convener, to help not only just bring people together and talk about things, but to help drive initiatives to make sure teachers are sharing resources, students are sharing data and that partnerships are happening. Because what you'll see is that it's really hard to run good schools, but a lot of charters are trying to do the same things districts have figured out and districts are trying to do the same thing charters have figured out, and by not asking questions we're wasting time, and by wasting time we're not serving kids well. I think a lot of adults from both angles want to do this, but right now we don't have the medium in Charlotte to come to the table and do that, and I think we often have conversations about what something like that would look like. Could your firm serve as that medium? I think we could. I think we're well-resourced, I think hopefully we're well respected in town, and I think we can begin to hold those conversations. You've also voiced an interest in the potential for virtual reality in education. I don't know who said it, and I'm not sure this is the exact quote, but they said, "If George Washington was alive today, the only thing he would recognize are schools," because essentially the prototypical day-to-day of a school, 30 kids sitting down and looking at a chalkboard with one teacher standing and delivering is the same model we followed since the early 1800s. I am an actual pessimist about technology in education. I don't think the internet will save kids — if anything it will harm them. I don't think robots will ever be really quality teachers. We have a lot of really great tech tools that help teachers and help schools, but those alone will not run good schools. We need really quality, badass people in the schools. I've mentioned virtual reality because I think it has a way to create immersive experiences to train students and to train teachers. What I mean by this is you can role-play teachers running a classroom. Say I'm a teacher with a VR headset, and two students in the back start fighting. I can practice how I would interact in that situation without having any students in the classroom. So that's just one example of a very applicable thing that happens in every classroom regardless of the school, to prep teachers and to prep principals. Like, don't just let it be the equivalent of a sub throwing a movie on the television and reading a book? Exactly. I can show them a movie about Rome but if I don't query about that, if I don't set them up for success, it doesn't matter. It's the same with VR. It has potential, but again it goes back to the execution.